Cats are well recognized for their cleanliness, and there is no wonder – studies show cats spend about one third of their waking time grooming themselves, other cats, or even dogs. But did you know, grooming goes far beyond the hygienic purposes? 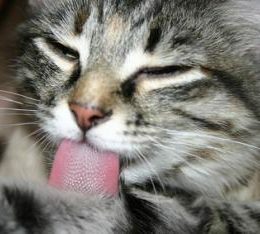 In this article, we are going to explain you why cats groom themselves and other cats. In our previous article of the series for beginner cat owners, we talked about properly trimming your cat’s claws. 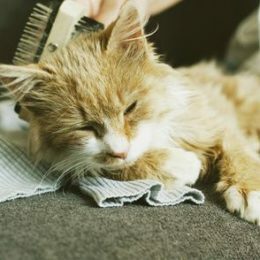 Now, about a bit more pleasant activity – brushing your cat’s coat. Before we begin with tools and techniques, let’s state why it’s beneficial to brush your cat’s coat on a regular basis. 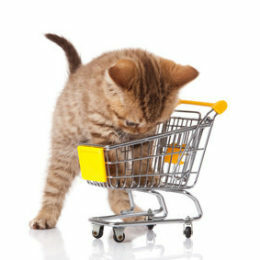 In this article we want to guide you through a shopping list of stuff and accessories your cat will need. We do not want to give you a plain list of stuff you will need, but are going to explain details so you do not end up buying crap you do not need, and, in some cases, will explain why you do need the stuff or accessories we recommend, if it’s not obvious already. This website is passionately created by Maris, who is a biologist and cat behaviorist, and Signe, who is a veterinarian and pet groomer. Learn more about us here. Note, some of our pages contain links to products relevant to the content. If you buy anything through these links, it helps us pay our bills. Thank you! Why do cats love boxes and tight places so much? Why does placebo work on dogs and cats?